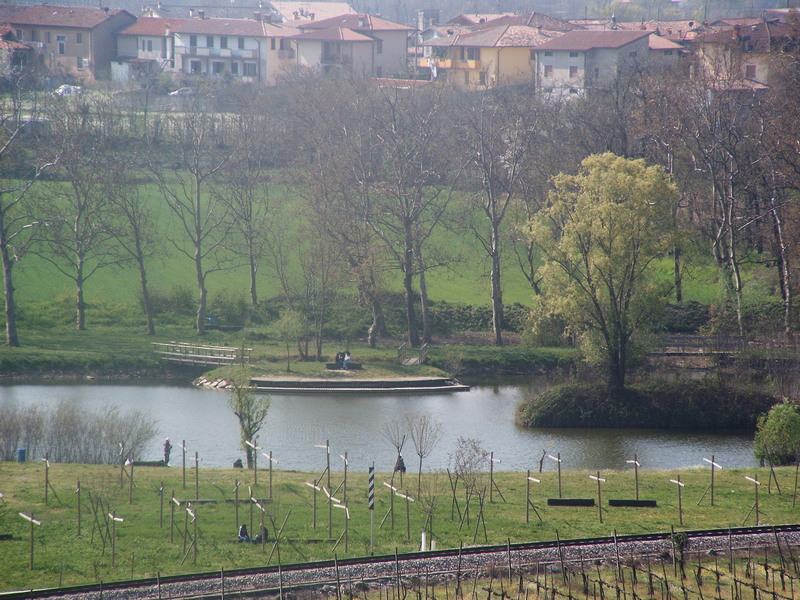 The project envisaged the environmental and landscape renovation of Paì lake. 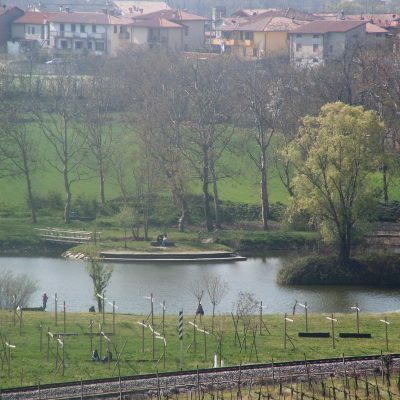 The upgrading of the water reservoir aimed to make this area useful and posed the problem of solving the lake’s water regeneration, essentially solving the problems of flooding and water supply in the Longherone river. The objectives of the project are landscape and functional upgrading. From a landscaping point of view, the original shape of the basin has been altered only in part, in order to maintain its landscape values ​​and the memory associated with them. In addition, the existing vegetation has been improved with a geometric composite pattern in the northern part of the basin to evoke the landscape of the vineyard. From the functional point of view, the shores and the river banks have been refurbished to make them viable and to ensure their accessibility, the sprawl area of the Longherone has been upgraded, through its connection to the basin and its partial drainage, and finally the area has been equipped with bridges and piers.